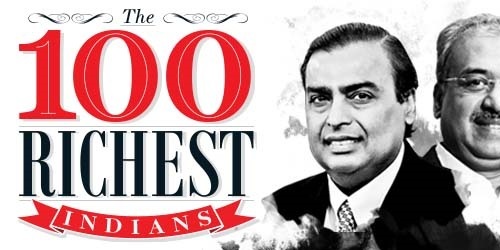 Yesterday, Forbes Magazine released this year’s list of top 100 richest Indians and to everybody’s surprise, everyone in the list is a billionaire. This has happened for the first time in the history. In 2013, only 70 Indians out of all 100 were the part of billionaires group and rest were millionaires. But, there’s one thing that hasn’t changed, which is Mukesh Ambani topping the list once again for the eighth consecutive year with a net worth of $23.6 billion, $2.6 billion more from last year. As a matter of fact, The combined net worth of India’s 100 wealthiest is US $346 billion, up more than a third from $259 billion in 2013. Now, here is the list of top 10 richest Indians in 2014 along with their net worth. I hope you enjoyed reading this post. Share it with your friends on social media and subscribe to our weekly digest for more interesting stories like these.